“In creative programming, I have always seen an opportunity for illuminating the individuality of works by placing them in tonal, dramatic and historic relief. Thus, through the sequence of a recital program, repertoire that has long been familiar to us is put into a new perspective. 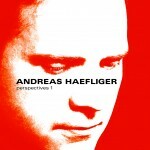 This series of Perspective CDs is a document of my concert activity and aims at bringing the recital experience to the living room.” Those are the words of pianist Andreas Haefliger whose second release in his Perspectives series juxtaposes sonatas of Beethoven and Brahms with Bartók’s suite Out of Doors. It’s a refreshing approach in an industry all too eager to pigeon hole performers and emphasise single-composer CDs. 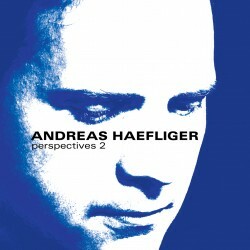 The results are, according to The Guardian, “thoroughly enjoyable and thoughtfully planned.” Haefliger is recognised internationally for his ability to perform the great Classical and Romantic and works with a rare combination of power, elegance, and poetry. His interpretations spring from a rich musical culture and have earned him the status of one of the leading pianists of our time.